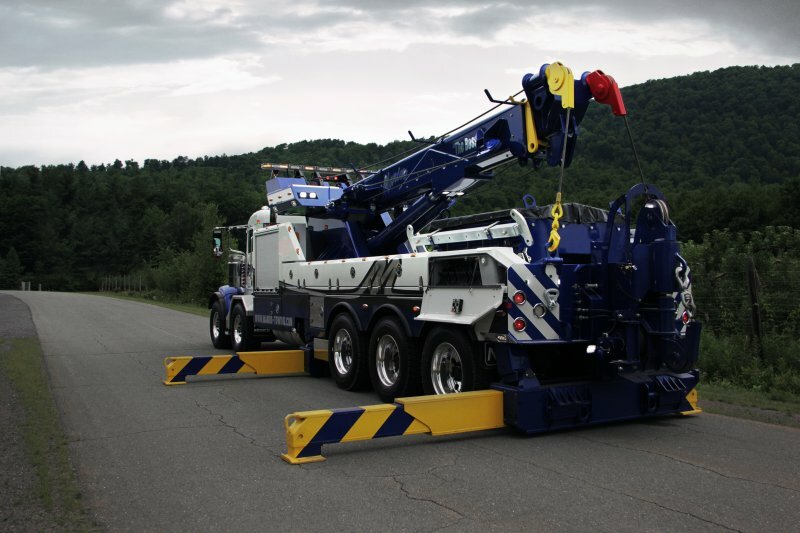 BREAK NEW GROUND: Designed to simplify even the most complicated recoveries, the 60/80SR features an oversized version of the proven Slider System, combined with a gigantic V-shaped boom and 60,000 lb planetary winches. Now you get power and efficiency that will allow you to work more recovery sites than any other competitor. One step above all other rotator trucks, the power and technology of this work beast will let you reach, lift, and pull anything imaginable including what you once thought was impossible! Reach past tailgate (3rd stage) : 485 "
Maximum Boom working height (3rd stage) : 664 "